Regulated by the FSC, EEA Passported and EEA Authorised under MiFID. Wide variety of instruments: 80 currency pairs, Gold & Silver, over 1,000 CFDs on Shares, Indices, Futures, and ETFs. Trade Forex, Gold, and CFDs on Oil, Shares and Stock Indices on our advanced Delta Trading platform (desktop, web, mobile) and benefit from our special promotion. All new Deltastock clients who open a live trading account and fund it with €100* or more will receive a 10% Trading Bonus on their first deposit, or up to €1,000*. 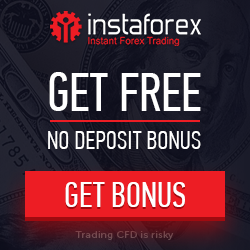 ** The Bonus amount can be used for margin trading only and cannot be withdrawn in cash. Deltastock is giving its new clients the opportunity to participate in the monthly Forex Masters Demo Contest and win prizes. Register for a free Demo account in the Delta Trading platform with an initial capital of 10,000 EUR and start trading Forex, Gold and Silver as well as CFDs on Shares, Indices, and Futures. Each month Deltastock is giving away up to 1,700 EUR in prizes, which will be distributed among the top 10 participants with the highest balance in their demo accounts. 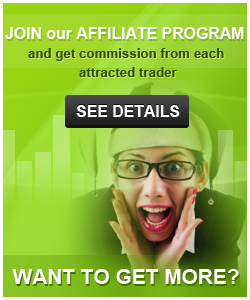 4th to 10th place - 20% Trading Credit on the first deposited amount - up to 100 EUR. The prizes will be given as Trading Credits upon opening a live trading account and depositing funds and can be used for trading on margin for a period of 1 month; after which they will be withheld from the clients’ accounts. The participants may withdraw the positive difference between the current account balance and the trading credits of the award plus the initially deposited amount at any time. 2. Contact Deltastock to have the funds transferred from your old account to the new one. I just started from two days now and at the beginning I had to ask to them to activate the "option" for running robots (EA's), but in less than 24 hours, robots did not start again and no error or alert were shown... Tricky and suspicious (my EA's got 99% winning openings...). I have traded with Deltastock for a while now and like them so far. Their platform is fast, they have NO COMMISSIONS on deposits, and I have very very rarely experienced slippage, but that was right before important news got released so I guess it is fair enough.ECN module is great, customer support is friendly and have answers to anything you might ask.